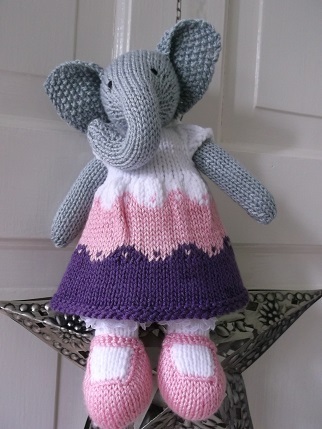 I am very excited to have just finished the first of many of Julie’s fabulous elephants, available from her web site along with all the bunnies and the fox pattern (will have to knit one of those next). 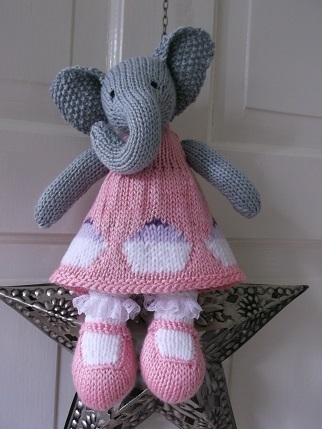 She is a very lucky girl as she has 3 pretty dresses and the cutest little tail. 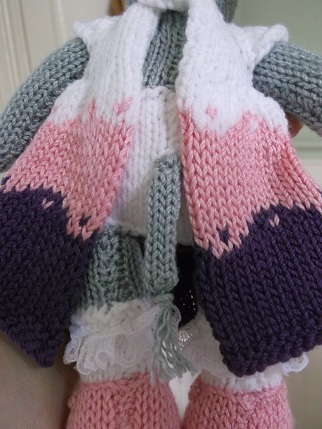 Eva has gone to live with my cousin’s daughter where she will meet up with my first ever bunny Florence who is very much loved by her elder sister so hopefully they can play together. 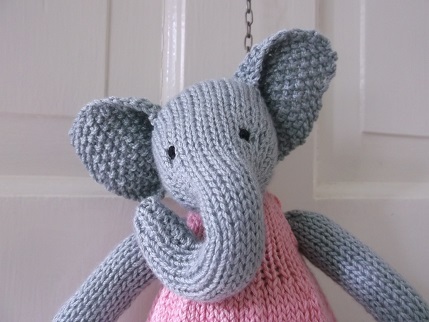 Now on to my second elephant – one day I might knit something else but these are too cute to stop! 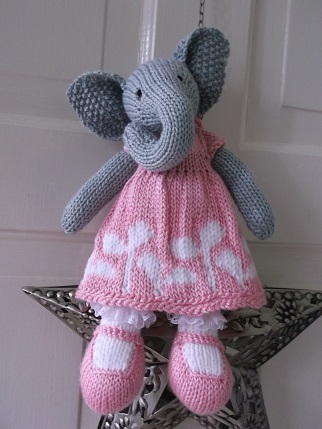 Very cute, indeed – and very well dressed!